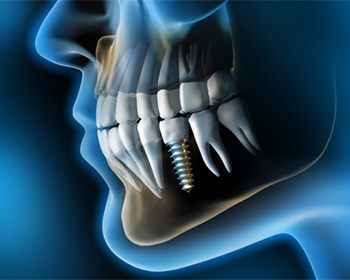 Dental implants are a reliable choice for tooth replacement. Of course, this doesn’t mean that you might not have several questions. That’s why we’ve created this list of answers to commonly asked questions about dental implants. If you have other questions and would like to schedule a consultation, please call our office today. In the meantime, we hope the following is helpful. Dental implants are small metal posts that are surgically positioned in your jawbone below the gum line in order to give you a new tooth root that will support a custom restoration. More often than not, dental implants are made of titanium, a biocompatible metal that is used in other operative procedures such as knee and hip replacement. For patients with metal allergies or sensitivities, there are also implants made of zirconia. The procedure is really quite straightforward and usually no more difficult than having a cavity filled. After administering a local anesthetic, a small incision is made in your gums. Then, the implant is strategically positioned in your jaw to take the most advantage of bone density. A protective cap is placed over the implant to protect it during osseointegration—when the implant and surrounding bone fuse together. The cap also maintains the shape of your gum tissue, which makes attaching the replacement teeth easier. That all depends on how many teeth need to be replaced and their location. If you are missing one tooth or two consecutive teeth, then a single implant is usually sufficient to support one or two dental crowns. For several consecutive teeth, we’ll fashion a fixed bridge that will be supported by two implants at both ends. 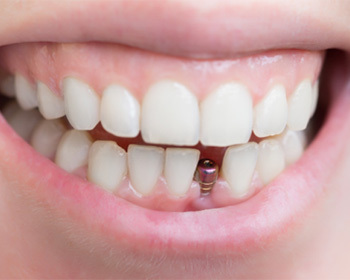 Finally, for patients that missing several teeth or even all of the teeth along an arch, three to six dental implants will be necessary to support a denture. The final cost will vary depending on your individual case, which will also be influenced by any preparatory procedures that are necessary as well as the type of restoration you need. 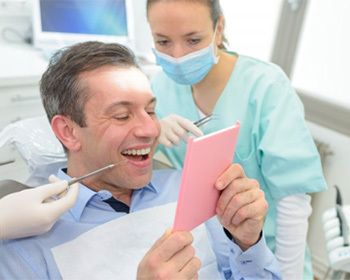 During you consultation, we’ll be able to predict your cost and how much coverage your dental insurance provides. Dental implants may cost more initially, but unlike other tooth replacement options, they can last a lifetime. Stick to a strict oral hygiene routine at home and attend regular dental checkups, so your dentist can ensure the integrity of your implants. Dental implants enjoy a 98 percent success rate. Take care of your implants and they will give you years of smiles!